These opulent baubles look like long-treasured heirlooms, but they're actually new pieces from Elizabeth Cole. 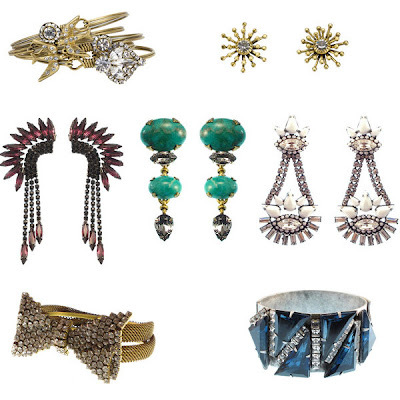 I am dying over all the earrings--particularly the crazy amethyst mohawk ones. They're all striking and decadent--and ridiculously affordable (priced between $57-$338). Great for gifting.